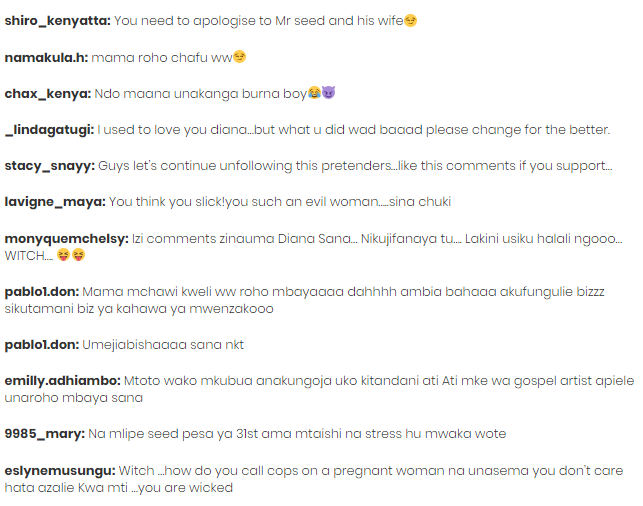 Home / Editor's Choice, Forum and discussion, Lifestyle / You are an evil woman; Kenyans tear into DIANA MARUA over BAHATI’s fall out with MR. SEED-She has nowhere to hide! You are an evil woman; Kenyans tear into DIANA MARUA over BAHATI’s fall out with MR. SEED-She has nowhere to hide! 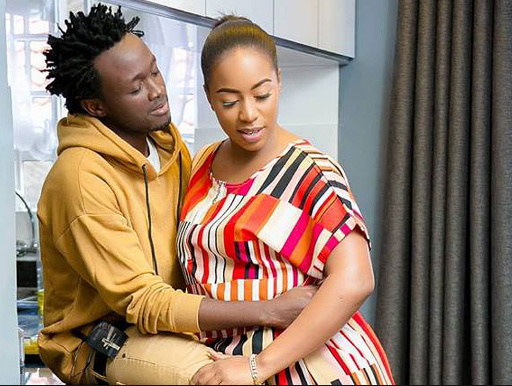 Wednesday, February 06, 2019- Netizens have launched a scathing attack on gospel singer Bahati’s wife, Diana Marua, accusing her of driving the wedge between Bahati and his longtime friend, Mr. Seed. Mr. Seed quit Bahati’s label, EMB Records after Diana humiliated his heavily pregnant girlfriend, Nimo, on New Year Eve party at Thika Stadium dubbed ‘EMB Jesus Party’. Nimo wanted to make an extra shilling by selling coffee/food to revelers but Bahati was against the idea and wanted his wife Diana Marua to do the business. And when Nimo attempted go ahead with the plan, they called the police on her and she was kicked out. Netizens have gone ballistic on Diana calling her all sorts of names for her role in the shocking incident. She shared a photo of herself on Instagram but she wasn’t ready for the comments.